I remember after last year’s Anime Expo hearing that, by comparison, the well-run Comic Con was a paradise compared to AX: the lines weren’t nearly as long, there were far more people but it didn’t descend into chaos, and they had professional staff running the whole show. I asked myself, wouldn’t it be nice if one day we could go and cover it, too? Finally, this year, Anime Diet had the chance to do just that. I discovered that most of the reports I’d heard were true. 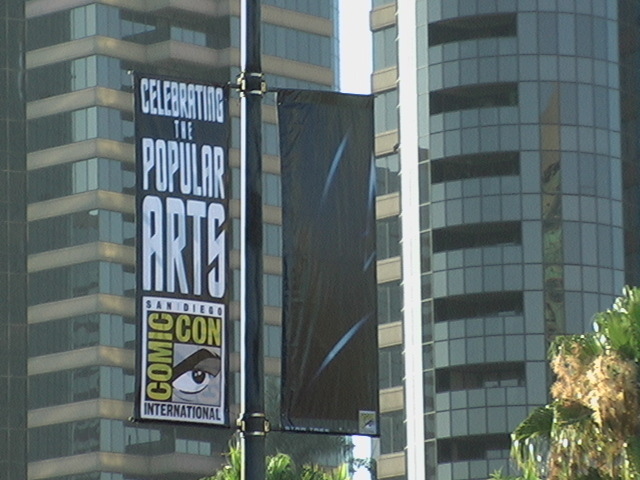 And yet…that was only in comparison to AX 2007, which was horrid by any measure. The lines at CC were 2-3 hours rather than 4-5. 200,000 people didn’t start a riot. Red shirted workers bearing the sign of “ELITE” roved the halls and weren’t as rude as the yellowcoats of Long Beach. 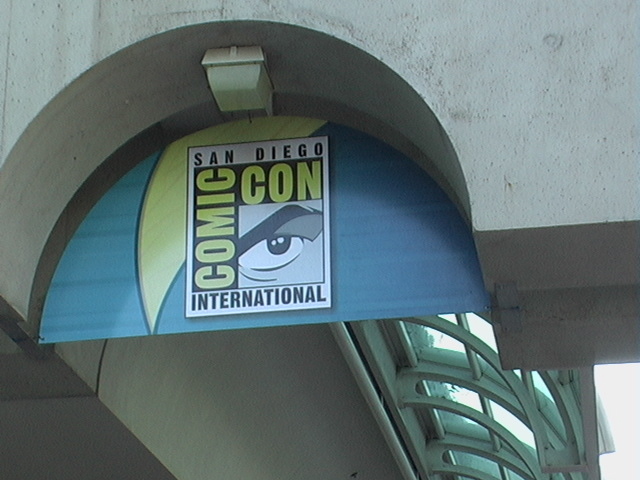 AX 2008, on the other hand, was free of horrific lines almost entirely–partly because we were press (something that got us few if any privileges at CC), partly because they really had cleaned up their act, used assigned seating for main events, and used bar codes for registration. I’m not knocking CC one bit; getting anything like that going for so many years and with so many people is a huge feat in itself. 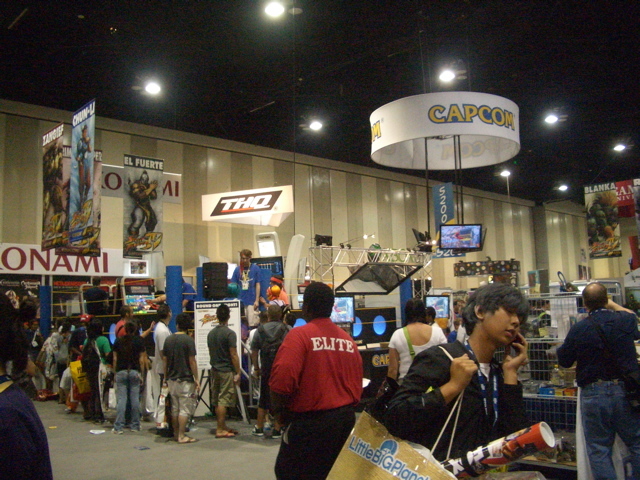 But CC felt like a much more typical con experience compared to the near-heaven that was AX 08. Everyone who has experienced AX 08 and is tempted to think that is normal need to understand that. AX 08 was exceptional. CC, too, is exceptional, given the scale–but still bring those water bottles and DSes. That's what this is all about. In terms of coverage and content, it was by nature more limited than in anime-only conventions like AX. CC after all represents a huge chunk of American popular culture, where anime/manga assumes a much more realistic place in the halls of geekdom: a prominent but still small place. While the tactics necessary to get good seating at the Kubo panel were pretty dire (thanks to Jeremy and Matt for sitting through 4 unrelated panels beforehand! ), those were nothing compared to the block-rounding lines for things like Lost, Heroes, and Battlestar Galactica. Not to mention the less impossible but still formidable lines for Futurama, Joss Whedon, and many other luminaries of American geek culture. Thus, the bulk of the video diaries turned out to be about non-anime subjects. But I also realized: that’s OK. Yes, I know this is an anime website. I’m still a fan of anime and manga first. But I realized the kind of people I met at Comic Con, the atmosphere, was incredibly similar to any anime convention I’ve attended in the past. There were the smelly folks, the annoyingly fanboy/fangirlish folks, the people in costumes they really ought not to be wearing; there were the very friendly people who were willing to talk on camera, to strike up random conversations about common interests. We are all, in short, geeks. No, the proportion of costumed people was not nearly as high as at anime conventions–with the exception of the masquerade line, which looked like it was dropped straight out of AX. Conventions exist, though, for people like you and me to gather together and not have to feel weird or even ashamed to start talking about your favorite characters from Bleach or how awesome that new Joss Whedon vehicle called “Dr. Horrible” is. 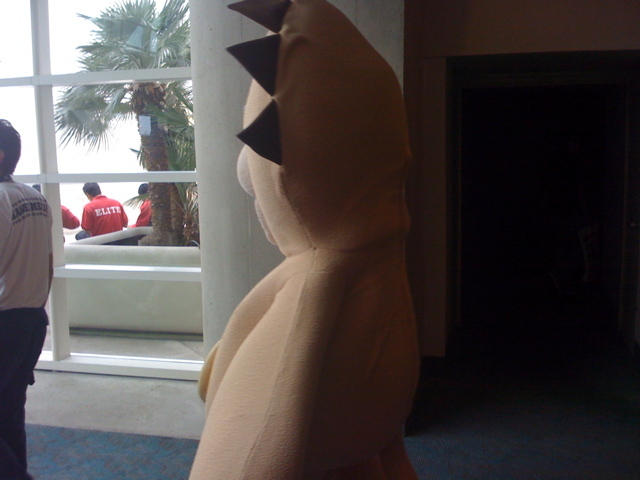 Kon looks back at his past. The experience of convention going is not unlike my experience of attending a church retreat. You spend a lot of highly concentrated, often exhausting time together with like-minded people, focused on similar goals. The day is filled with activity and interaction. There are guest speakers. At conventions, of course, many things get bought and sold, and we didn’t wear lots of costumes at my church retreats. But the main similarity is how “otherworldly” the experience can seem. When I hop off that train or drive home after the con is over, there is something of a letdown; I’m back in the real world, where I can’t simply start mouthing off about anime or comic books to strangers, knowing that they will understand. I start wishing I could be at conventions a lot more often sometimes. But I also know that a lot of the magic of these conventions is contained in its rarity. These big conventions only happen once a year. They only remain holidays from life when they are just that, holidays–not the main course. This is of course more true for an ordinary attendee or press like me, not so much for those who have to work in the Exhibit Hall or Artist Alley as part of related industries; for them, it’s work, hard work, their livelihood. They probably have to put up with much more rudeness. But the temporary total immersion in one’s hobbies: this is part of why I, and many others, continue to go to conventions year after year. It’s a vacation for the geek soul. I, at least–I know Jeremy and Matt had some harder times getting there a couple of days late–have good memories of my four day sojourn to San Diego. Heck, I even bought stuff, something I didn’t do at this year’s AX. And I made more videos, some of celebrities. What more can a blogger ask for? As we grow, so will our reach–and I hope that even when I can’t be there, we will have staff able to cover events all around the country…going to where the fans, and undoubtedly many of you readers, are. Congratulations for reading this far. 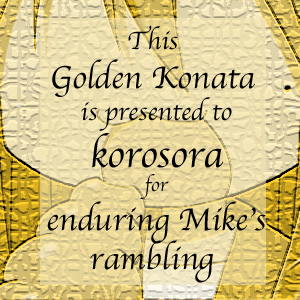 You win a Golden Konata (TM) award. :) Good night and see you all in future conventions! When will my Award be shipped? All you have to do to claim your reward is to deposit $1000 into my checking–wait, why, it’s over here! Post it proudly on your website and tell all your friends! :) :) :) Thanks for reading and commenting faithfully. Seriously. Haha, interesting parallel between church retreats and anime cons. I’ve never thought about it that way before, although now I kinda notice the similarities.